Danny Kaye once said, “Life is a great big canvas and you should throw all the paint you can on it.” We couldn’t agree more! However, your home is your castle and you’ll be living with your color choices, so we want you to love them. 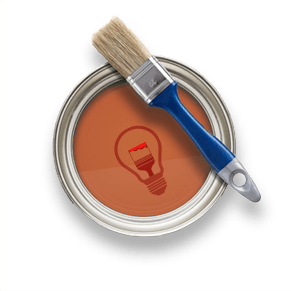 Don Smith Paint believes anyone can sell a great product, but what sets us apart is the “How.” — How to prep the surface, how to apply the coating, and how the coating will make your home look and feel when the project is done. Determining what to use, when to use it, how much to use and most importantly why you’re using it, is why Don Smith Paint should be your only stop for the finest paint choices, information and knowledge. We want to help you get it right the first time. Stop in and show us how we can help. We’re here to help! It’s that simple. The Don Smith Paint staff has well over 75 years in the paint business, and we’re here to put it to work. Starting a project and don’t know where to begin? Click on the Ask a Don Smith Expert tab, fill out the form and click submit to send it directly to our email. We’ll get back to you with our best recommendations. Give it a try and let Don Smith Paint help you get the job done right the first time. So you want to use a “Historical Green” in your family room? The problem is that what’s “Historical Green” to one person may be “Pea Soup Green” or “Asparagus Green” to another. Click the Get Inspired tab and see links to color collections from Benjamin Moore, Pratt & Lambert and California Paints. You can also view room settings when “getting inspired” is harder than you thought. Take a look at Interior Inspirations as well as Exterior Inspirations and get those creative juices flowing! Designed for our professional contractors, this tab provides direct links to equipment companies, our major paint suppliers, and a number of supply companies. It’s so convenient to do your research at home and check out the product offerings. You can also check out what’s new with our paint suppliers, print tech sheets on various products, and more. Need Volume Pricing? Don Smith has it, and delivery is available as well. We’ve been in business for 70 years as the supplier with the best products, service and value.